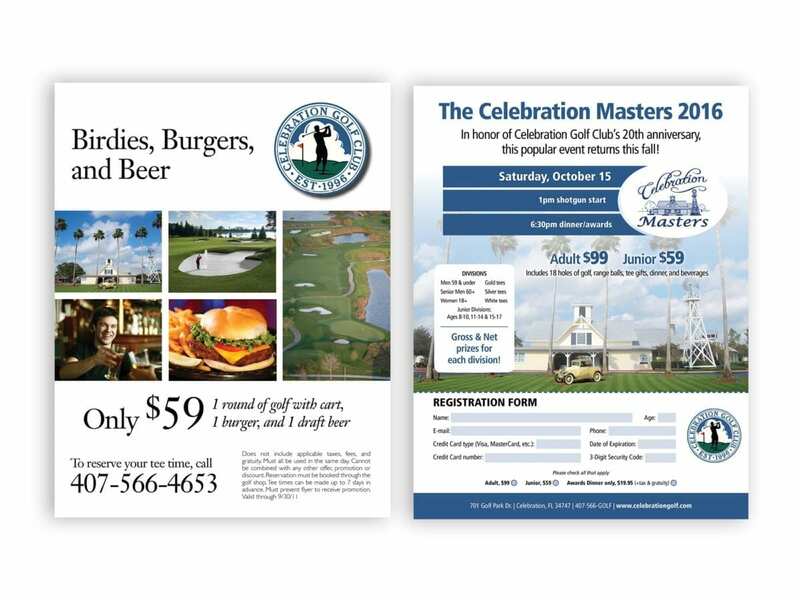 Celebration Golf Club is a high-end golf club near Disney close to Orlando, Florida. 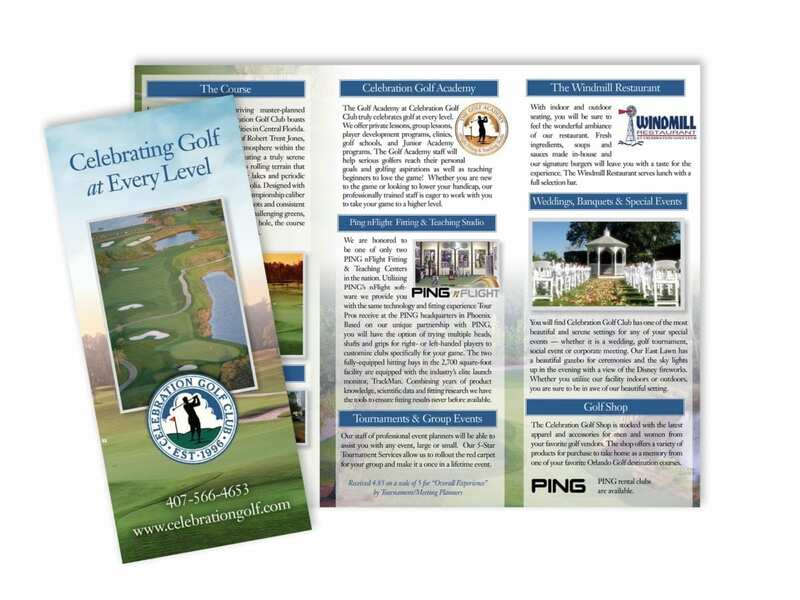 Bragg Media provided a full array of graphic design services for the golf club, its restaurants, various programs and events, as well as in-house documents. 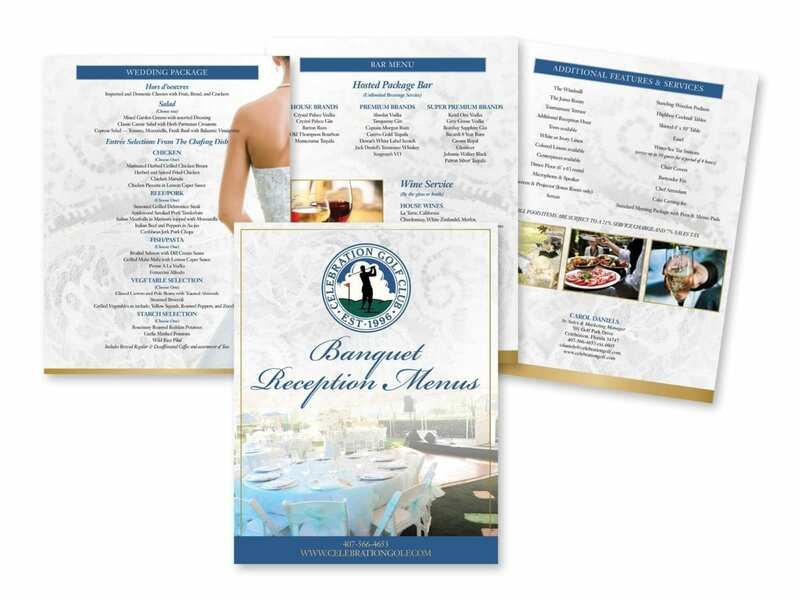 Graphic design services included menus, print advertisements, web ads, posters, fliers, tri-fold brochures, rack cards and more.